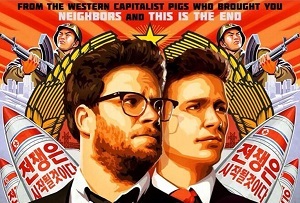 Is Sony's The Interview a triumph for video on-demand? Despite being the most talked about film for years, the comedy has only pulled in $36m. Given the hype surrounding Sony's controversial film The Interview, it's understandable why some suggested the company's security breach could be a simple publicity stunt. Given the embarrassing emails between the company's top executives which were also leaked, it clearly wasn't. But the publicity generated for the film, which depicts an attempted assassination of North Korean leader Kim Jong-Un by hapless American journalists, has been exceptional. After hackers stole a bunch of the firm's data and leaked it online, they threatened further retribution if the film got a theatrical release. Sony initially decided to pull the release and so, before being seen by a single member of the general public, The Interview became the centre of a public debate about cyber warfare, censorship and terrorism. Not many films draw the ire of foreign Government officials and also tacit endorsement from the most powerful man in the world. But has all the hype paid off? The film is estimated to have cost around $75m (£49.6m) to produce and market, but pulled in just $31m in online video sales in the two weeks since its launch on Christmas Eve, plus $5m from its limited release in cinemas. Some of today's headlines have framed this achievement as a success. Certainly compared to not releasing it at all the film has performed well, and it is in fact Sony's most successful video on-demand production ever released, and it's still relatively early days. It's also yet to be released internationally, which could also bolster Sony's coffers. But even if Sony recoups the money it spent, the film has hardly been a runaway success. Data whizz Nate Silver estimated that The Interview could have generated around $100m in takings based on the success of similar films, even without the hype. Pineapple Express, one of Seth Rogen and James Franco's other most popular films, took $112m at cinemas worldwide. The film hasn't exactly won over critics either, with many praising the decision to actually release it but questioning whether such a fuss was worth being kicked up over a fairly mediocre film. The Interview's online sales so far certainly demonstrate the massive potential for the video on-demand market, but it seems the conspiracy theorists who thought Sony were up to something can rest easy.